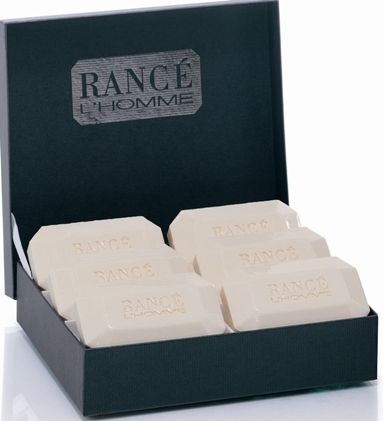 Rance L'Homme Soap contains the essential oil of bitter orange. Perfect for both men and women, each of these 6 bars are hand-made, hand-wrapped and made in Italy. A beautiful presentation for the man in your life. Having purchased and liked Le Vainqueur soap by Rance, I decided to give Le Homme a try. Same great lather and moisturizing properties with a fresh "green" scent. I can see why it's The Soap Bar's #1 seller in the Rance line.